All done - have fun! Nope, it's the same thing - just a new name. It's now part of our new eTickets family of convenient options (including Mobile and Credit Card Entry), and just like those names we figure "Print-at-Home" speaks for itself! Yes, in most cases. In rare cases when you see a "print delay" it's usually because we're selling tons of tickets and we need to make sure bots aren't buying them up, shutting out true fans like you! Yes, but if you're worried someone might find and try to use it please contact us to get a replacement ticket with a brand-new barcode. That way only you can get in! I bought parking too - do I print that separately? 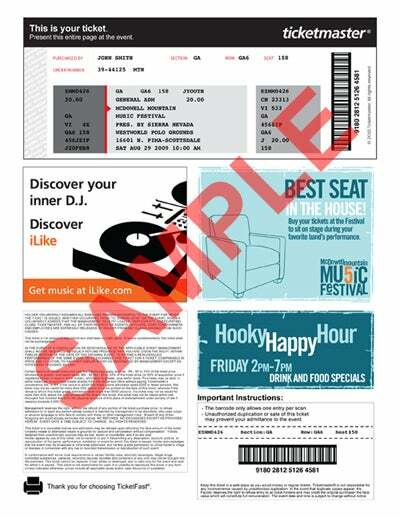 Click View My Tickets in your confirmation email, or go to My Account and then Orders and click the event. Why isn't Print-at-Home available for my event? It's up to the artist, team, or venue to offer Print-at-Home, but in some cases it's simply a technology issue. Not all venues have the necessary equipment to accept Print-at-Home tickets - we're talking lasers, scanners, and some top secret stuff! We're working on it, but it takes time to get everyone on board.